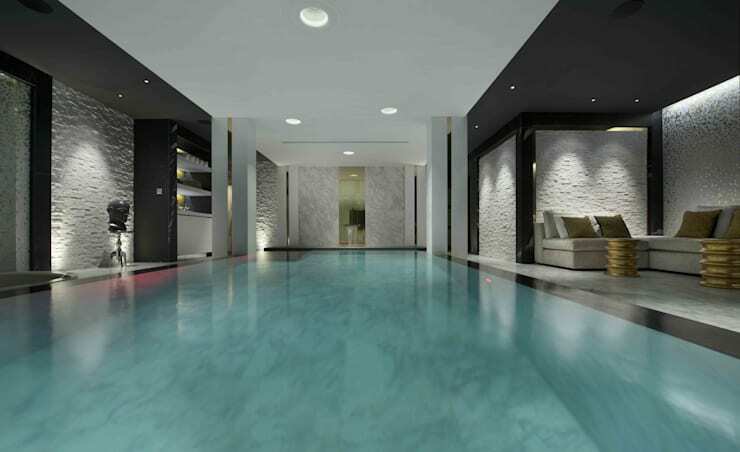 Crisp White -inspired textures and glimmering gold accents define a ten-metre home basement pool within a space that encapsulates classic material with the spirit of modern design ideas, providing a relaxing sanctuary of timeless quality and finish. TV Chill area, Jacuzzi with views over the pool towards to TV, Steam room and private massage room. The infinity pool spans the full length of the spa dividing the space and functions. 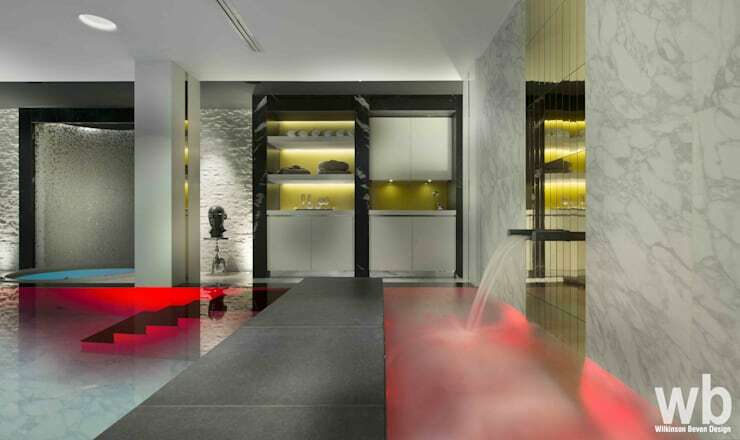 ["IN"] [Published] Here is how you can magically transform your basement! ["PT"] [Published] Que uso deve dar à sua cave?